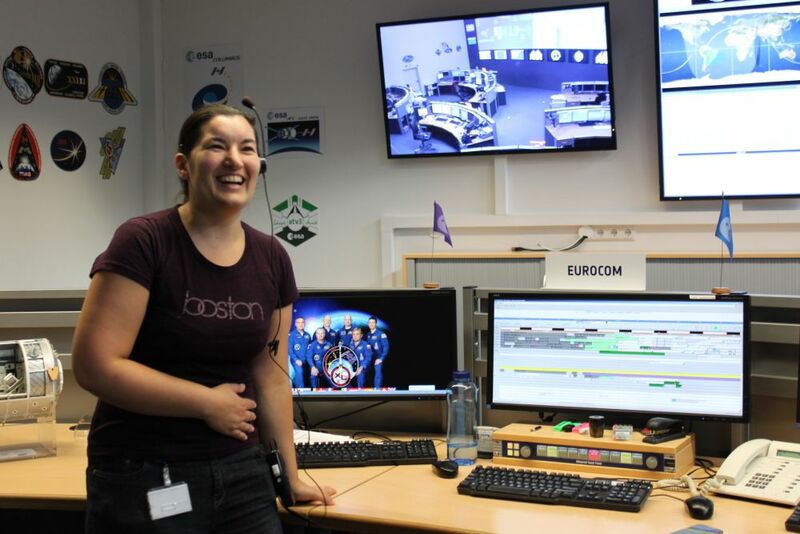 In cooperation with the World Space Week Association and Swarovski, the Austrian Space Forum initiated the Tiuterra project: Rock samples from all over the world were colected including specimen from Antarctica and the bottom of the sea floor during a diving expedition, on the occasion of the 2013 World Space Week. These were than analysed and -combined with a tiny part of a Mars meteorite than mixed into a master sample. Swarovski took on the challange of creating a piece of beauty out of those, the “Tiuterra Crystal”. 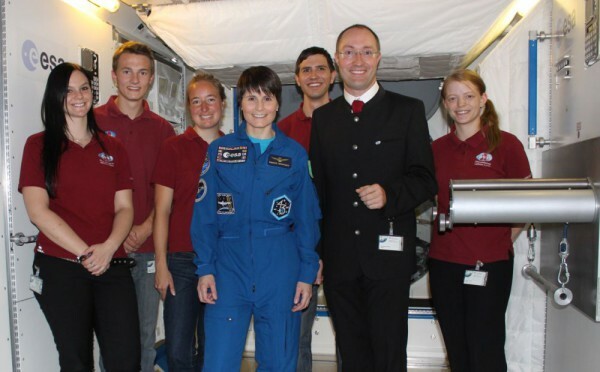 Three of them are scheduled to fly to the International Space Station in November for the Expedition 42/43 of Samantha Cristoforetti. 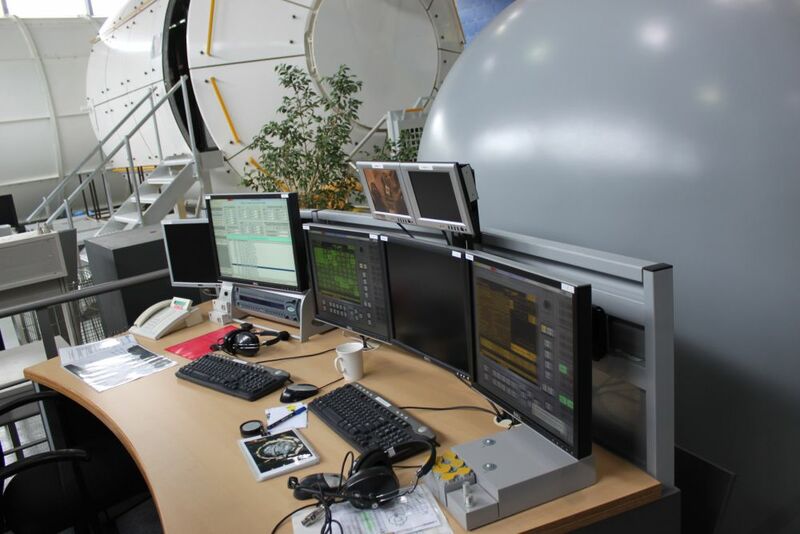 This arks the first time, OeWF hardware is flying to the station. At the European Astronaut Center these three crystals were handed over to Samantha Cristoforetti during a media event. – Take a look at the visit of the OeWF delegation to Cologne, Germany, the heart of Europe’s astronauts! 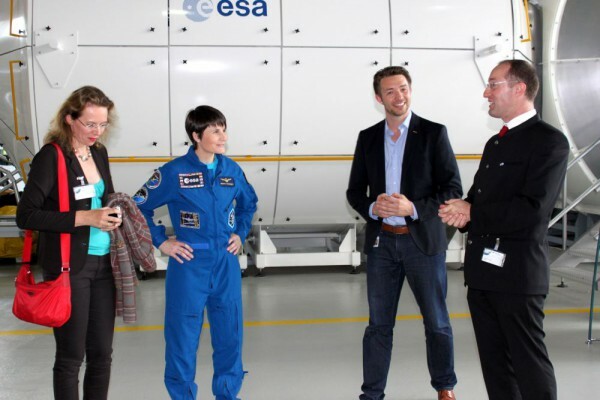 1 Just before the press arrives, Monika Fischer, Samantha Cristoforetti, Jules Grandsire and Gernot Groemer discuss the last details of the event. 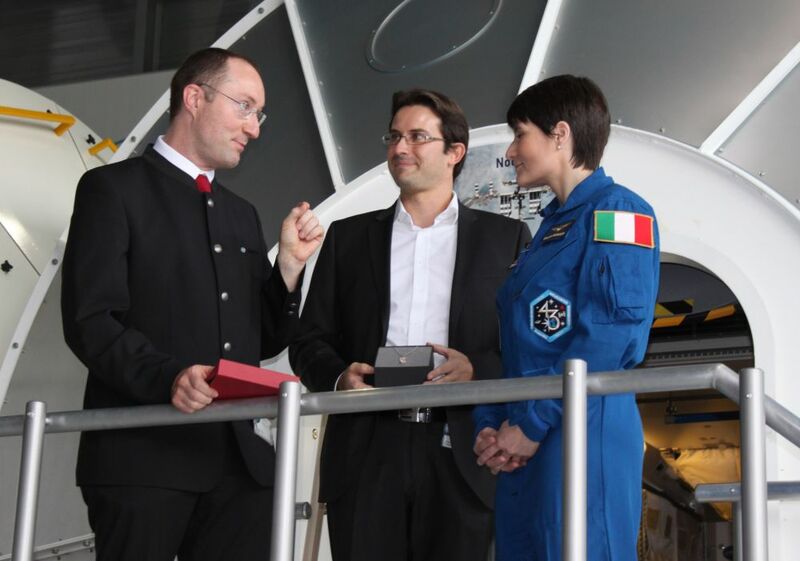 2 Great moment: OeWF president Gernot Groemer and Christian Nagele, Vice President of Product Development of Swarovski hand over the Tiuterras as well as a personalized version of the Crystal to Samantha Cristoforetti in front of the training -version of the Columbus Module of the Space Station. 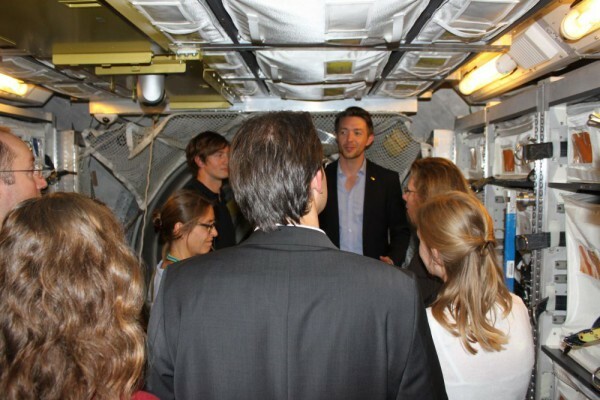 3 After the hand-over, Jules Grandsire (EAC) invited the media and the OeWF delegation for VIP tour of the EAC, including a look ino the Automated Transfer Vehicle – the fifth and last ATV happens to be in-orbit right now! 4 Inside the ATV is seems to be pretty crowded – now wonder, as it is designed to be the “space truck” for the ISS. 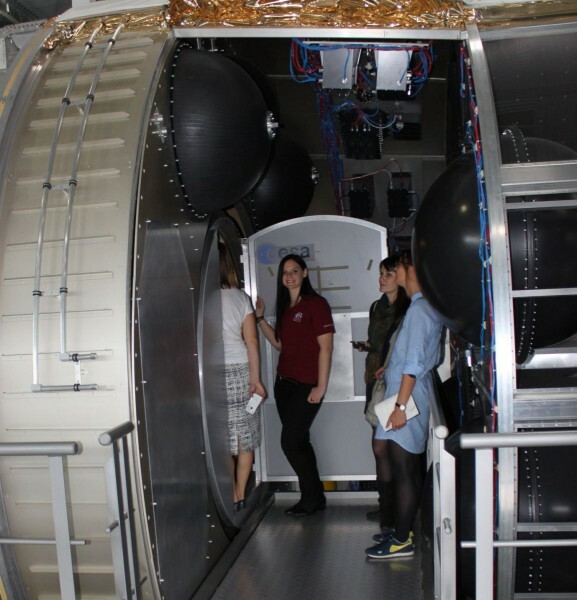 5 The OeWF delegation with Samantha Cristoforetti inside the Columbus module. 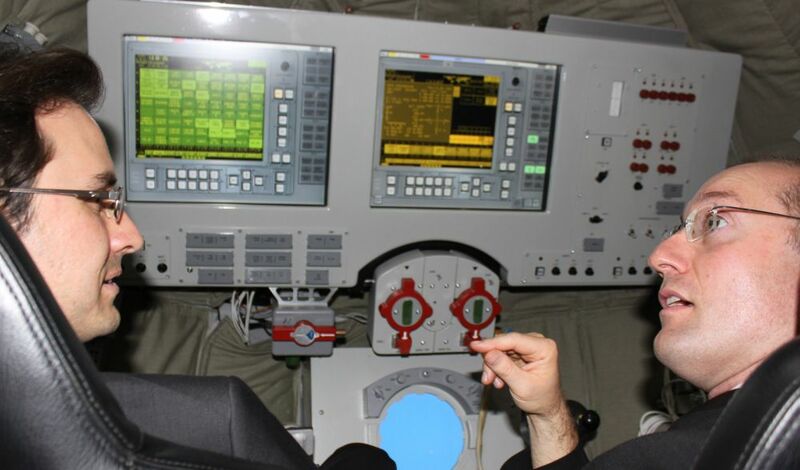 6 Christian Nagele and Gernot Groemer at the helm of the Sojuz spacecraft simulator. Well, with flight suits instead instead of business suits they might have almost passed as astronaut trainees. 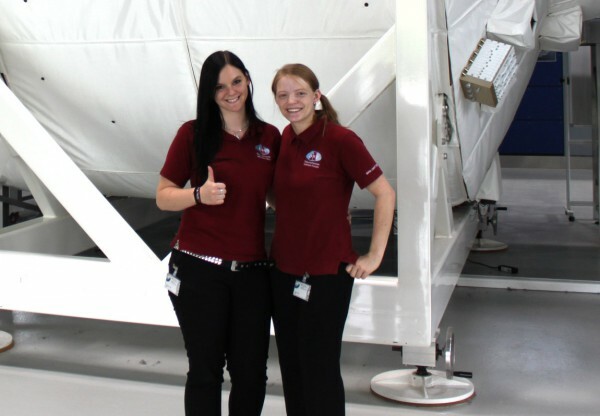 8 Veronika Haberle and Julia Neuner in front of the ATV mock-up. Two happy FemTech-students on a mission.